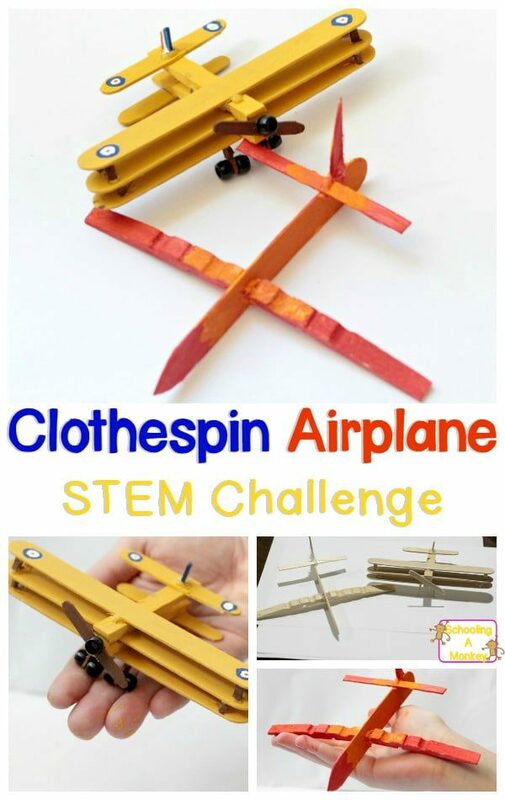 If your kids love STEM activities and engineering challenges, they will love this clothespin airplane building challenge. What kind of airplane can you make? 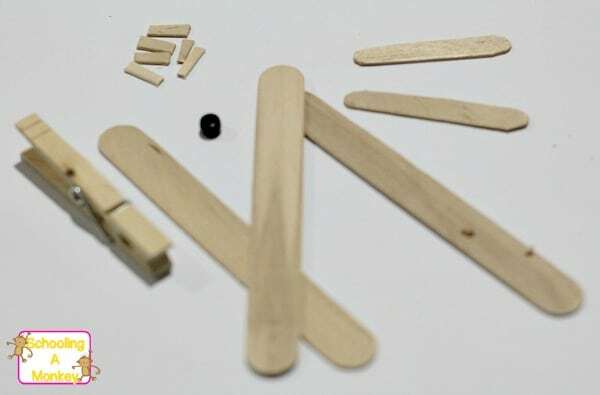 For this engineering activity for kids, I challenged Monkey to see what sort of airplane she could create using clothespins and popsicle sticks. I really couldn’t believe how well the airplanes turned out! 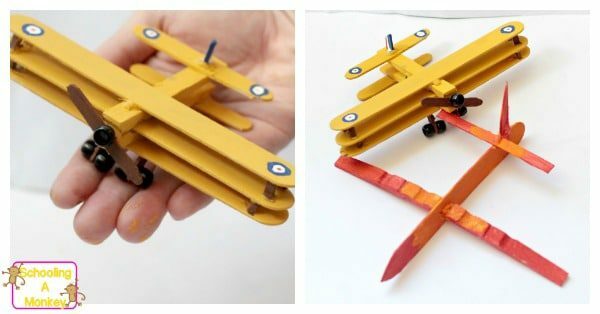 If you want to make your own wooden airplanes, you can’t go wrong with these materials! Related: Thematic Units for kids! This activity is simple, but there is so much to learn! 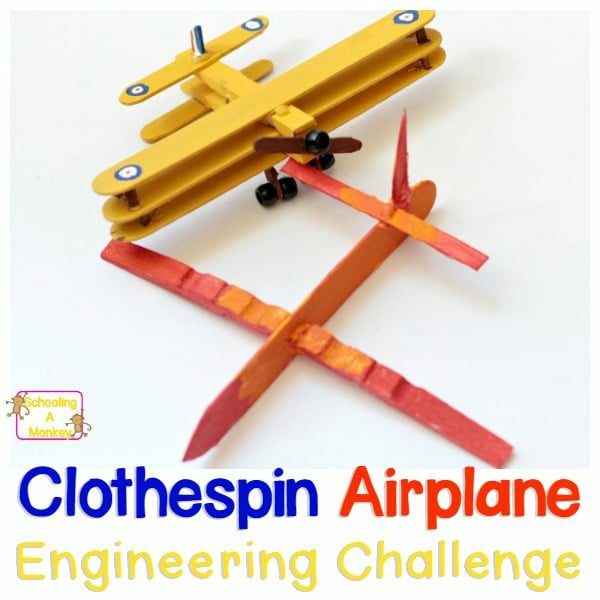 We did this engineering challenge as part of a unit study around the Wright Brothers and the history of aviation, and this was the perfect way to end our homeschool unit study. First, we discussed airplanes and the history of flight before beginning our clothespin airplane challenge. We learned how older planes flew and how planes fly today. Monkey decided she wanted to make a modern plane and we made the WWI plane together. 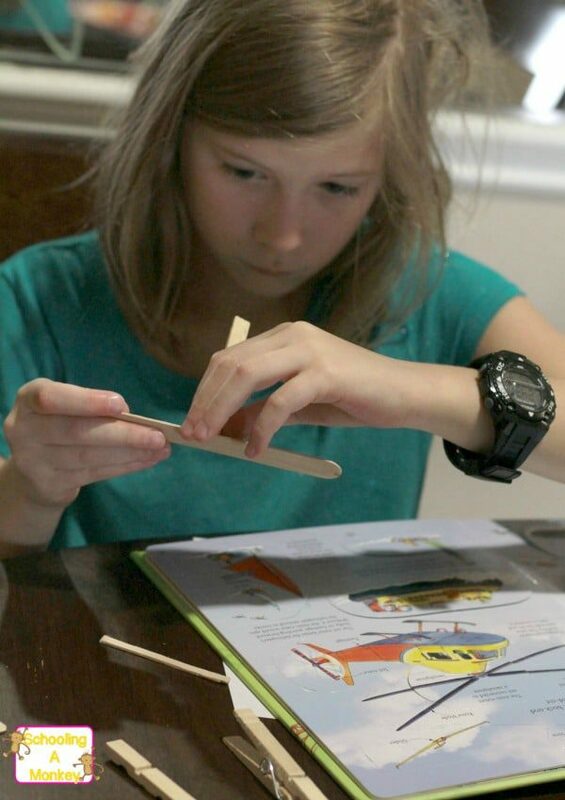 The challenge was to build a realistic airplane using clothespins and popsicle sticks. Additionally, Monkey wanted her airplane to be able to fly. For inspiration, we read the airplane page of How Things Work, and we also looked at pictures of old WWI planes and the original Wright Flyer. The Sopwith Triplane was the inspiration for our joint design. First, we assembled our supplies. We ended up cutting our popsicle sticks with scissors. That worked well to create the angles we needed. We only used wood from the popsicle sticks and clothespins. 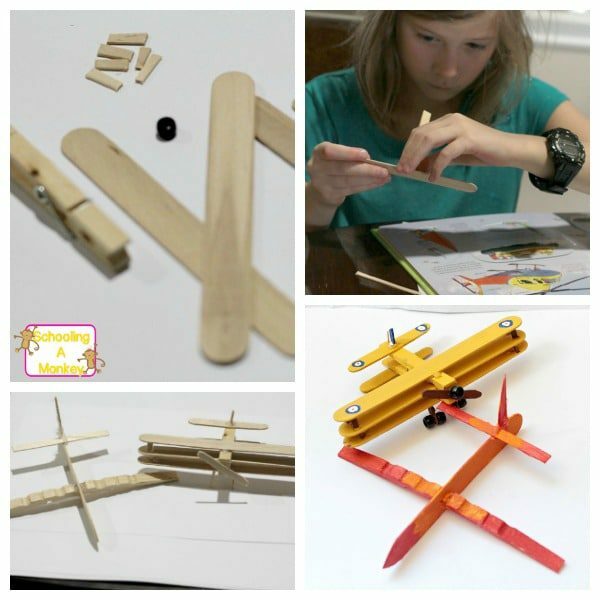 Use our designs as inspiration for your own clothespin airplane creations. We assembled our planes with hot glue. When the glue dried, we painted our planes with acrylic paints. Monkey wanted her plane to look fast, so she chose red and yellow. We decided to go with the precise colors of the Sopwith Triplane to stick with tradition. As expected, Monkey’s plane flew much better than the historical design. Her plane actually flew quite well for how heavy it was. The pointed nose and the wide wingspan kept it aloft longer than I thought it would. The other plane, I guess, needed a motor to keep it in the air.